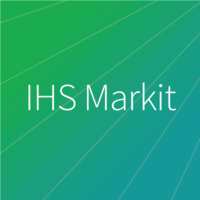 IHS Markit is a global leader in information, analytics and solutions for the major industries and markets that drive economies worldwide. The company partners with clients in business, finance and government to help them see the big picture with unrivaled insights that lead to well-informed, confident decisions. IHS Markit serves more than 50,000 key customers in over 140 countries, including 85 percent of the Fortune Global 500. Headquartered in London, IHS Markit (Nasdaq: INFO) is committed to sustainable, profitable growth.